A whole number of qualified wine dealers exists in the Federal Republic of Germany. The wine trade has a long tradition and the relations to the producers just in North Germany rich more hundred years in the past. Good commercial relations were built up between the retail trade in the area of wine and the producers over a long time period. Wine dealers have therefore often specialized in a region to push the contact to the producers. The producers of the high-quality wines need the wine trade as an important channel of distribution for her plants. The oldly old-established wine dealers in Germany have also internationally an excellent reputation. The German wine trade has good commercial relations just in Italy and France. The great dealer Reidemeister and Ulrichs from Bremen maintains contacts to Burgundy already over centuries. The sale of local wines like Riesling or German red wine works about a direct winegrower sale often. The wine trade is involved here not so strongly as in the case of the imported wines. This lies that the customers often know the winegrowers personally and complete directly her purchases at these. The wine trade has to fight with this phenomenon just increased lately. Top-quality wines also get often subscribed directly and sold without wine trade in Bordeaux. The great wine dealers are pushing into the gap of the marketing of the noble plants here at the moment, however, and offer the subscript ion for the Bordeaux producers. They offer her customers the purchase in mediation. Great wine dealers and wine sellers exist just in England since wine has represented a cultural possession here for the top layer already for centuries. Many of the greatest wine dealers of the world have your seat in London and sell the best wines of the world to her international customers. Definitely the rarity wine dealers obtain parts of her portfolio directly from the chateaux. Within the last few years, however, the wine trade has increased strongly also in the Asian room. By the very high demand for top-quality wines from Bordeaux and Burgundy many dealers have specialized in these wines and import plants like Lafite Rothschild, Mouton Rothschild, chateau Petrus, Domaine Romanee Conti, chateau Ausone, Dom Perignon, chateau Cheval Blanc, Jayer, chateau skin Brion, chateau Margaux or chateau Latour from Europe. The demand for these expensive wines also is unbrokenly in the Russian room and particular in Moscow. Also here many wine dealers and the wine specialised trade have established themselves to provide the rich Russian businessmen with high-quality wines. Just within the last ten years the number of the active wine dealers increased very strongly on the Internet, though. This branch of the wine trade is specialized in the sales channel Internet especially and one often offers a gigantic assortment at wines. The high accessibility to customers and the worldwide dispatch is a great advantage of this wine trade. The online wine trade will be able to record a strong increase also within the next years and the traditional dealers of fine wines also offer increased an online supply now. Some outstanding online wine dealers who offer very rare and expensive rarity wines have arisen in Germany within the last few years. The wine trade is therefore subject to a steady and unbroken cancellation printing, new trends develop in the sale and distribution again and again. By the economizing crisis in 2008 difficult times are predicted for the wine dealers, though. 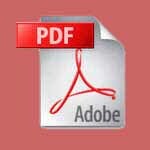 A recession in sales, paired with a price decline is possible. The wine trade therefore stands difficult times ago in which wine dealers only built well will show a good chance of survival. 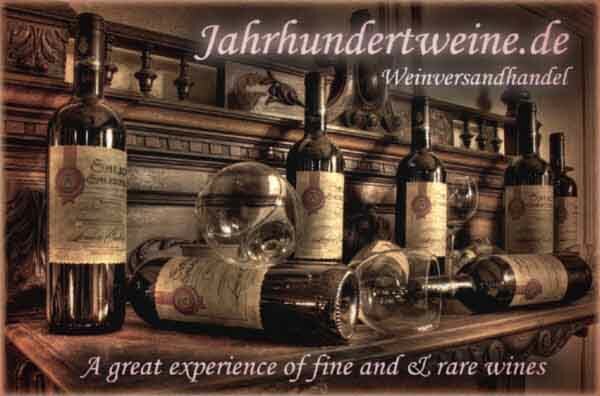 You find a great choice of high-quality wines also matured at the wine dealer in rare objects Jahrhundertweine.de !